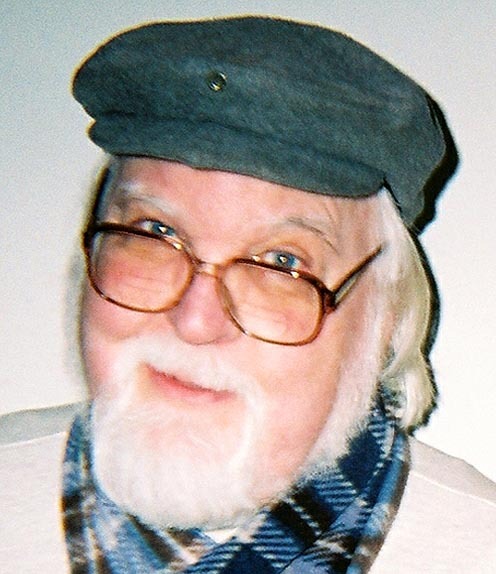 Tom writes under several pen names – one for each genre: Garrison Flint (Mystery), David Drake (children, teens), Marc Miller (Ozark Mountain ghost stories/mysteries), Grampa Gray (foolishness for seniors), Bonnie Brewster (family romance - and, yes, it’s hard to explain the full, white beard at Bonnie’s book signings! The pill box hat and veil seem to fool very few.). Tom is an unabashed ‘ham’. He enjoys speaking to groups of all ages and occasionally ‘performs’ (some would say ‘teaches’) creative writing classes. He bases his writing, like his life, on positive social values (not to be confused with any genre of religious teachings) and believes man’s bottom-line social purpose is to take really, really good care of each other. After receiving four, university degrees, Tom’s early adult life was shared among several endeavors: A child and family clinical psychologist in private practice, a special educator, a parent and foster parent, a developer of tests and teaching material for special needs youngsters, and a writer. Now that he has reached middle age (76 according to Tom) he also spends some time painting, sculpting, and volunteering in child-help programs (and, of course, playing Santa in late December). Tom is eager to speak with your group – large or small, young or old, readers or writers (even to those who just show up for the cookies and punch!). He will choose a topic to present, talk to a topic you suggest, or – his favorite thing – will respond to questions the folks in attendance have always wanted to ask a captive writer. He never charges a fee, but does require transportation to and from (and lodging and meals if required). He enjoys appearing as a fund raising event for worthy causes – schools, libraries, save the reindeer promotions. Contact Tom at: tom.gnagey@att.net. Please put PROGRAM on the subject line (unless you are from Publisher’s Clearing House and then a few dollar signs will suffice!). As I matured, my unremitting physical activity subsided and took up residence in my brain. I have never been able to sit and be entertained – TV, movies, sports events – I have always needed to be doing or thinking something constructive and creative. And so it is that I sometimes complete a 40,000 to 50,000 word novel in ten to fourteen days. My passion is writing and I feel privileged to be able to pursue it for 12 to 14 hours a day when I want to (or, perhaps, need to). These days I am surrounded by technology that renders many of my earlier problems moot: voice recognition typing, spell check, an on-line thesaurus, and word search through a document, along with instantaneous Bing and Google searches for any topic man has ever proposed, probably head that list. Nearly 100 of Tom’s books are available as e-books on Nook, Kindle, and Kobo – all for the low price of $2.99 each. There are books for all ages: mysteries, romance, ghost stories, fantasy, humor, general fiction, self-help, short story collections and more. Many are parts of series, which are often ordered as a unit. Here are the three fund raising concepts. FUND RAISER # ONE: Program plus book sales commission. The Method: Tom presents his program at your facility (no fee), which encourages those who attend to want to read things he has written. They are provided with the URL link to his books on their e-book reader site and are encouraged to order books, knowing each one purchased on that day earns your organization one dollar. They are reminded not to forget to order gift books for friends and family. The Method: Over a designated period of a week or so, the members of the organization contact supporters (alumni, friends, whoever) giving them the opportunity to make a contribution while at the same time obtaining quality, low cost, books and novels for their e-readers – the kind of purchases e-reader owners will be making anyway. They are instructed to order on a given date so the sales will be allocated to your organization. Quite simply, the organization does both One and Two simultaneously. This catches lots of folks who will not attend the program. Why not just ask the contacts for that $12? Experience shows that the vast majority of people are more willing to contribute when they are getting something worthwhile and lasting in return and they feel more positively about the organization. Also, this method encourages and preserves the art of reading and it’s hard to argue against the value of that idea. Finally, it is found that once a person begins scanning the list of books, more purchases are generally made than the person figured he or she would make ahead of time.